I had the opportunity to chat with TripAdvisor’s VP of Global Product, Adam Medros, in a 20-minute “fireside chat” at the GigaOm Mobilize 2012 conference last week. Adam is an affable guy, with an insightful perspective on how brands can capitalize on the things that make mobile a uniquely compelling experience — compared to run-of-the-mill desktop computing. Our session, titled “Let Mobile be Mobile,” detailed TripAdvisor’s early steps into mobile, what they learned from those experiences, and how they are working to take advantage of the full capabilities of today’s smartphones to inform travelers worldwide of resources and points of interest nearby. In particular, mobile apps have the opportunity to capitalize on the amazing array of sensors inside mobile devices including light sensors, compass, GPS, wi-fi, Bluetooth, ANT, accelerometers, gyroscopes, microphone, video and still cameras. These sensors make mobile devices context-aware in ways that stationary, less-able desktop computers can never be. 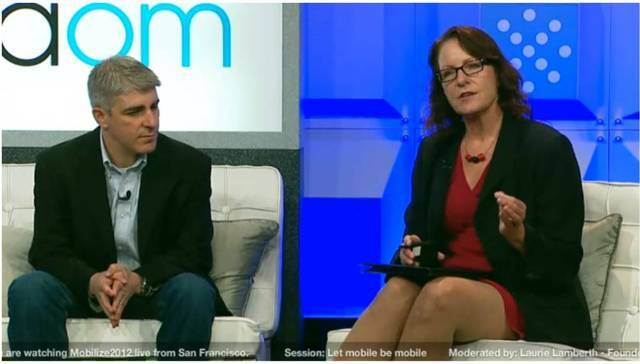 GigaOm posted an excellent summary of the discussion on September 20, titled “TripAdvisor sees opportunities in going deep on mobile.” The write-up also includes a video of the session — an informative watch. Enjoy!